Four sixteen-year-old girls—a blonde, two brunettes, and a Latina—walk into a trendy thrift clothing shop. One tries on a pair of pants; they look and fit like a dream. The next girl slides on the same pair with the same result. Another tries them on. And yet another, until all four discover the pants somehow work for their different shapes and sizes. If this were a joke, I’d insert the punchline here. Except it’s not a joke. It’s the setup for The Sisterhood of the Traveling Pants. 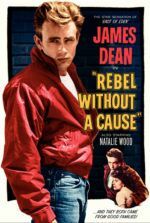 Based on the popular series of teen-centric novels by Ann Brashares, director Ken Kwapis tells an overly sappy story following four teenagers’ devout belief that a pair of “magic” jeans will change their lives and maintain their friendships. When the girls separate for the summer, they agree to ship the pants between them via FedEx, each recipient taking one week to absorb the miraculous powers within, whatever that means. As a result, there are several montages where we follow the pants themselves as they travel from shipping doc to post office to mailbox. The story is told in an episodic form; none of the individual stories interweave, but the friends are close enough so the result feels like a single narrative. The four keep in contact with letters describing their eventful lives and the effect of the “uh-mazing” pants thereon. Since each comes from a fairly average suburban home, one wonders why they aren’t employing more technologically sophisticated means to keep in touch. Then again, these are teenagers that believe jeans will bring them luck and good fortune. If they’re that disconnected from reality, no wonder they haven’t discovered email or text-messaging or MySpace—the preferred methods of communication for today’s teen. Four young actresses (each well-into or approaching their twenties during filming) are spotlighted, some more impressive than others. Alexis Bledel from TV’s Gilmore Girls plays the shy Lena, who travels to Greece for her vacation and meets a hunky local named Kostas (Michael Rady) that causes a Romeo and Juliet-like family row. America Ferrera from Ugly Betty plays the impetuous Carmen; her father is getting remarried and she’s not happy about it. Bridget (Blake Lively) pursues her coach at soccer camp, supplementing the pain of her mother’s suicide for some forbidden romance. And Tibby (Amber Tamblyn) takes on an eccentric young girl as an assistant for a documentary film summer project. In each case, the clichés are more abundant than a Lifetime Original movie. The movie isn’t all bad. I like that the girls are individuals with enough strong female values to grow and become independent within the story. Not enough preteen-centered movies contain such messages nowadays. But where the film falters is representing the girls’ lives as soapy melodrama, versus empowering young women by helping them to accept reality and depicting the appropriate authenticity to match. 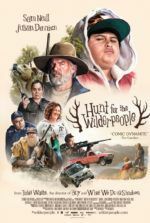 Overly simplistic, the movie forces pre-teens to endure aberrant manipulation and mediocrity when they could easily find much more inspiring and relevant material out there (see Kit Kittredge: An American Girl for a recent example).